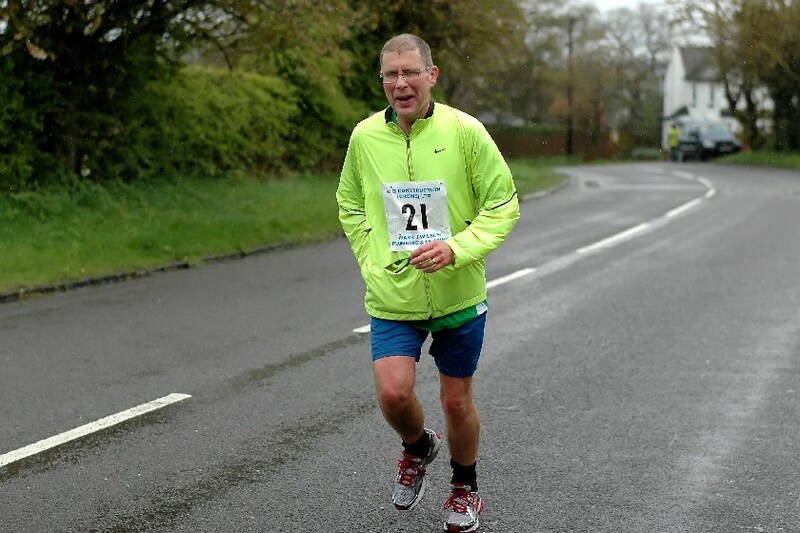 Lesley and I took part in the South Cheshire 20 road race on Sunday and, despite the cold and wet conditions, we had a very enjoyable day (we are smiling and not grimacing on the photos). 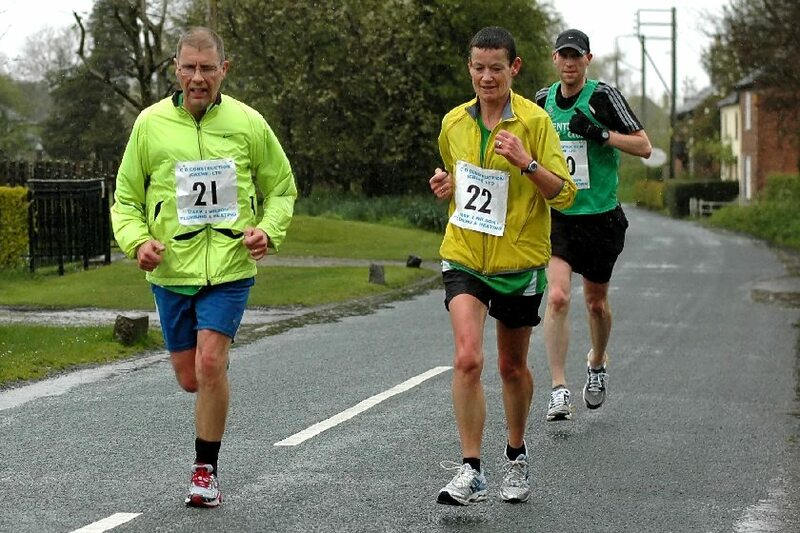 The race starts at Shavington Leisure Centre near Crewe and runs through the villages of a Weston, Englesea-brook, Betley, Wrinehill, Shraleybrook, Audley and Barthomley. 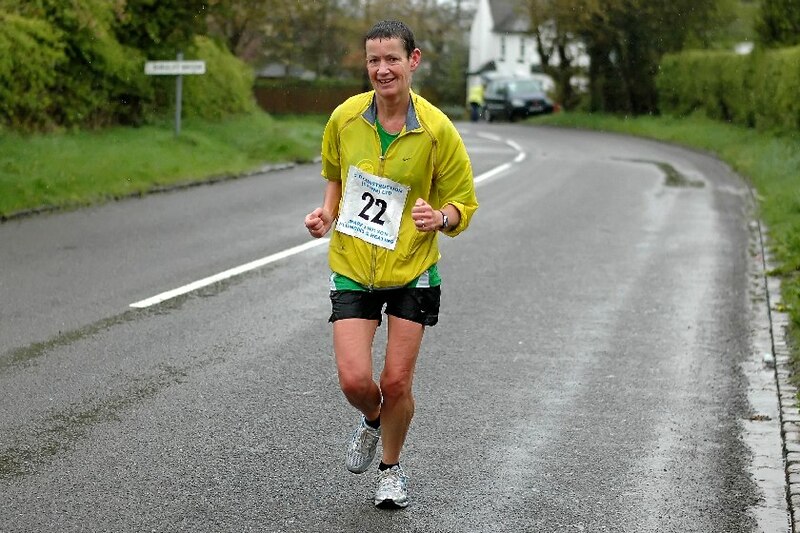 The course is very well marshalled and is run on frequently hilly country lanes with regular drink stations. It was the first time we had run this distance which we were using as a tester for the Chester Marathon later in the year. We ran the first 12 miles together and then I made a decisive break which saw me lead Lesley home by a ‘massive’ 3 minute margin (see the results below). We were both delighted to get under 3 hours and are now targeting Boydy’s marathon time.